After Anonymous & Hitcher it was the turn for Indian hackers. A young hacker code named "Godziila Volcanimum" joined the hack activity or in other word the Israeli rampage. During the attack he targeted several Israeli government websites including Israel Ministry of Justice and its ten to twelve sub-domains. According to the sources all those targeted websites were frozen by the hacker while sending massive traffic to generate load and interrupt the services. The attack was took place in the Friday evening and the hacker managed to violate the services for several hours. Several sources and medias confirmed that the official website of Israeli ministry of justice was remain down for more than a day. The list of all those targeted Ministry of Justice domain, which fallen victim to this round of cyber attack, can be found on a pastebin note; released by the hacker. In his press release Godziila Volcanimum said "Is killing innocent people a Justice?? Stop killing small kids and women's.. Don't cross your limit.. ./Peace is just what we want..." which clearly indicating that the motive of this cyber attack was driven by the cause of Gaza and to to show support for Palestine, which is currently under heavy fire. 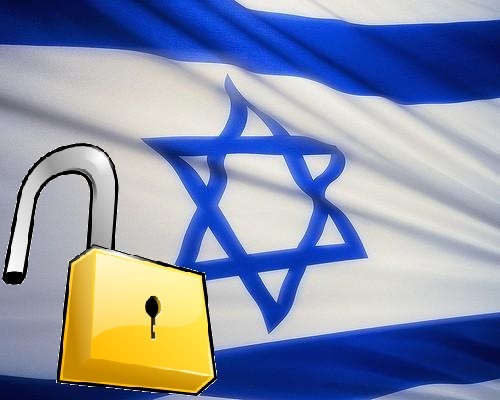 Update:- Now the server of Israeli Ministry of Justice has overcome the cyber attack. All those targeted websites have been restored and came back online, as expected they are functioning properly. So far the Israeli ministry have confirmed that more than 44 million hacking attempts have been made on Israeli government web sites since Wednesday when Israel began its Gaza air strikes.